The Asian cockroach was identified as a newly introduced species in 1986, when a heavy infestation was found in Lakeland, Florida (Polk County). A second, more heavily infested area was identified in 1987 near Brandon and Tampa (Hillsborough County). Today, the Asian cockroach has spread to infest the southeastern United States. 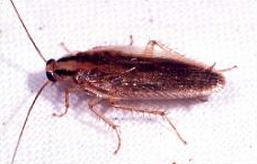 This cockroach is a rural and suburban pest that mainly infests single-family, suburban houses and yards. It is abundant outdoors, where populations of 30,000 to 250,000 per acre have been found. The adults are strong fliers and readily enter the houses.